Santorini Photographers by Nikos Sirigos spesializes in Santorini wedding photography with low cost Wedding photographer prices! Santorini photography tours on the best Santorini locations for pictures with low cost of 300 euros for up to 3 hours. Fully Air condition vehicles for all Santorini photography tours. Keep your most magical moments alive with the right wedding photographer! Pre book and save for Pre-wedding photography tour. Santorini is a paradise for wedding photographers, portrait photographers and locations photographers. Is a famous island which is visited by millions every year . It’s one of the most beautiful and unique vacation islands in Greece. Save time and money by hiring a Santorini photographer to capture those photos that you will cherish for a lifetime. A professional Santorini Photographer will take you to top location of Santorini for pictures to avoid huge crowds that roam the tourist areas. If you are looking to hire a Santorini photographer for a wedding photography or a photography tour, you have come to the right place! 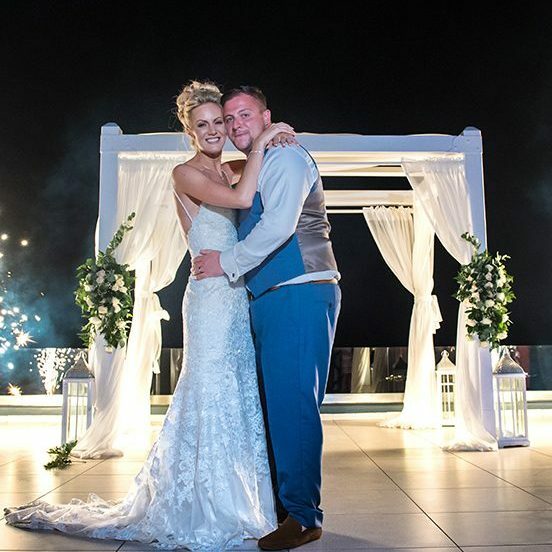 I would like to say a great big thank you Nikos for helping to make our day so memorable through the photographs you have taken and the Photography with Videography service you provided. We really felt that you were close friends of the family; you made us feel so comfortable yet were unobtrusive in your photography. Santorini wedding photography by Nikos Sirigos is the best choice!!! We are pleased with the service which Santorini photographers provided for our wedding in Santorini. They understand the importance of the wedding event to couples and tailored their assignment to suit our preferences. We were very comfortable in having Nikos as our photographer amongst our guests for the wedding occasion; his non-obtrusive yet excellent reportage style compliments his mild manner as a person marvelously.